At least Four music groups go by this name:- 1. 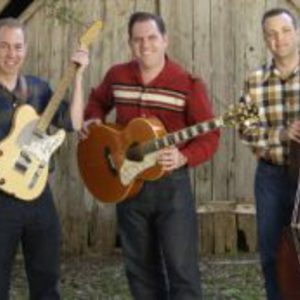 Rockabilly band from austin, texas 2. An old-style drum group who create original works based on the traditional chants of their ancestors of the Northern Plains 3. london-based band formed from members of The Diodes and The Barracudas 4. Hair metal rockband USA California 1988 -1993 http://www.myspace.com/highnoonrocks 1) On a hot July day in 1989, three guys got together in an even hotter Austin garage with a string bass, Martin guitar and Telecaster to play some music. 1) On a hot July day in 1989, three guys got together in an even hotter Austin garage with a string bass, Martin guitar and Telecaster to play some music. As if guided by some sacred keeper of the Rockabilly flame, they proceeded to play the whole 'Elvis SUN Sessions', in order, with uncanny precision and fervor. That fateful day, HIGH NOON was born. And HIGH NOON will always be Sean Mencher, Kevin Smith and Shaun Young. The trio has come a long way since that first garage get-together. Voted the best Rockabilly band for seven ( ! ) years in a row in Austin, TX, the trio has performed in venues as diverse as a youth center in St. Petersburg, Russia ( July 1993 ); a nightclub in the Canary Islands off the coast of Africa ( October 1993 ), all over the USA ( early 1995 ), Scandinavia ( mid 1995 ) and Central Europe ( late 1995 ); even 'Carnegie Hall' in New York City ( April 1994 ) with Ronnie Dawson. Legendary in his mastery of string bass, Kevin Smith provides the rock-solid foundation of HIGH NOON. Sean Mencher lays down the hot licks with a finger pickin' flare on his Gibson or Telecaster; along with Shaun Young, who belts out each song from the heart, he writes many of the songs that make up HIGH NOON's expansive repertoire. 2)An old-style drum group who create original works based on the traditional chants of their ancestors of the Northern Plains. This group was organized on the Cree Thunderbird Reserve in Saskatchewan, Canada. The band consists of Ted Noon, Ron Noon, Darryl Debassige (Ojibway), Terry Checkosis, Milton Noon, Craig Albert, Adrian Cross, Marlon Deschamps, Solomon Bull, Faron Lujan (Tiwa) and Marvin Thunderbird. They are the 2002 Gathering of Nations Drum Champions and are six-time Schemitzun Drum World Champions. All members not otherwise noted are Cree. They travel throughout the U.S. and Canada and are one of the most frequently requested Native American performance groups. 3) London-based band formed from members of The Diodes and The Barracudas (MusicBrainz entry).